Vicky Jepson’s side gave a really good account of themselves at Kingsmeadow with captain Sophie Bradley-Auckland a real inspiration at the back, and it took a stunning goal from Magdalena Erisson to give the reigning champions all three points. 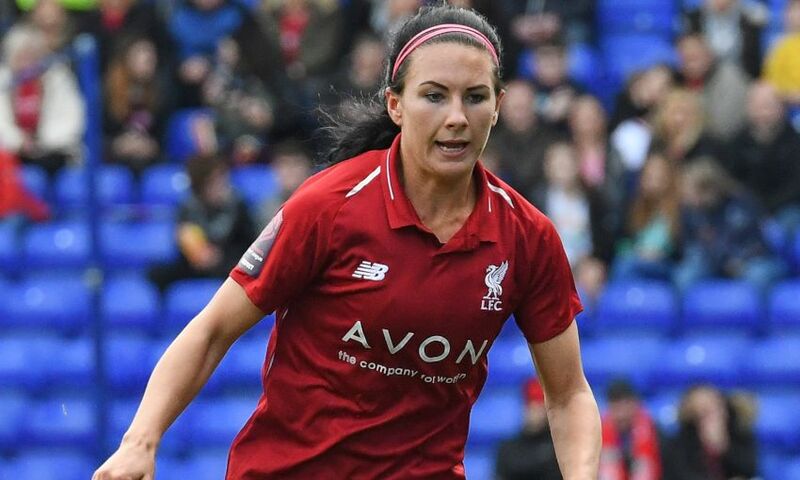 The Reds were without talented winger Niamh Charles, but started brightly and Kirsty Linnett went close on eight minutes when she drilled an effort narrowly wide after a sweet turn just outside the box. On 12 minutes only a brilliant goal-line clearance from Bradley-Auckland denied Chelsea the opening goal after Fran Kirby had set up Drew Spence. The home side continued to take the game to Liverpool and went so close to the opening goal when Bethany England found Kirby in the penalty area, but after a sharp turn the England international fired an effort just over the bar. Chelsea opened the scoring on 26 minutes in spectacular fashion. Spence headed back a left-wing cross which found Eriksson who in turn flicked the ball up and then produced a stunning overhead kick that gave Fran Kitching no chance. Just before half-time a great touch from Rinsola Babajide gave her a shooting chance and her 25-yard effort was well held by Carly Telford. Two minutes after the restart Jepson’s side had a glorious chance to level the scores when a superb pass from Laura Coombs sent Jess Clarke clean through, but the No.7 could only shoot tamely at Telford. England, who had a season-long loan at Liverpool last term, came close to making it 2-0 just past the hour mark but her close range header sailed over the bar. There was a worrying sight on 83 minutes when Liverpool defender Jasmine Matthews clashed heads with Chelsea player Maria Thorisdottir, but after lengthy treatment both players were able to walk off the pitch. Jepson's side are back in action next Sunday when they host Manchester City at Prenton Park. Liverpool FC Women: Kitching, S Murray, Robe, Roberts, Matthews (Little, 86), Bradley-Auckland, Fahey (C Murray, 76), Clarke, Coombs, Linnett (Daniels, 69), Babajide.